Get out of bed super early and watch the sunrise from the tallest building in the world! At the Top has sunrise sessions during winter, and the view from the Burj Khalifa’s 124th floor is incredible. Visit Dubai Miracle Garden and Butterfly Park. It’s the world’s largest natural flower garden and there’s sooo much to see! If you’re down for some fun in the sun, make your way to Aquaventure Water Park at Atlantis the Palm. They’ve got crazy water slides, a gigantic aquarium and a dolphin bay where you can hang out with dolphins! Go skiing indoors and meet the penguins! Yep, #OnlyInDubai can you ski inside a shopping mall. Looking for an excuse to party in the day? Go for a Dubai ‘drunch’ and you can thank us later. Have dinner in the sky! Hanging 50 metres above the ground, this is one sky-high dinner you’ll never forget. If you fancy something a bit more local, treat yourself to a cheesy Chips Oman paratha at HumYum! Visit a speakeasy in Dubai – there are quite a few hidden bars to visit in Dubai, including one that lets you enter through a bathroom! If you’re a night owl, get dressed up and hit the clubs! Dubai is famous for its nightlife, and is filled with super clubs like White Dubai, Base Dubai, 1 Oak and BOA. Buckle up and get ready for the ultimate Dubai experience – a desert safari! The safari includes everything from dune bashing, and sand boarding to dune buggying and camel rides. Take a trip to Hatta Dam and go kayaking around the mountains! It’s a bit of a drive away, but it’s totally worth it. Hop on to an abra and explore Old Dubai, the souks, the museums, and the art galleries. You can walk around and explore on your own, or take a guided tour of Old Dubai. Have a traditional lunch at the Arabian Tea House, or dine at the new Al Seef District. Chill out at one of Dubai’s beach clubs. Cove Beach at the brand new Bluewaters Island is one worth checking out. Round up a few friends and rent out a yacht for the day. You’ll get to enjoy the stunning skyline views, sail past popular attractions and jump into the water! Visit the Souk Madinat Jumeirah. Whether you want to shop, have a drink, enjoy dinner or take a ride on an abra, there’s so much to see at Souk Madinat. Check out the world’s largest mall, and while you’re there make sure to visit the Dubai Aquarium and the spectacular Dubai Fountain show! Bar hopping on Sheikh Zayed Road – check out the House Party Bar for some old school fun, Miss Lily’s for Caribbean vibes, Level 43 for incredible views and Trader Vic’s for live music & dancing. Chill out at a shisha lounge. There are so many shisha lounges and cafes in Dubai, and most of them stay open till quite late. 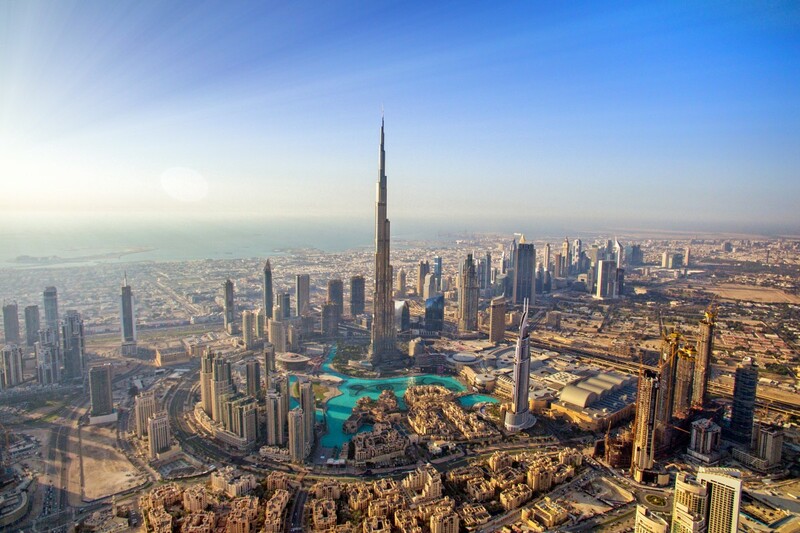 Did we miss anything that everyone must visit in Dubai? Leave your suggestions in the comments below!